Shell (RDSB) closed out 2018 by reporting better-than-expected fourth-quarter results, including strong earnings and cash flow growth. Most notable was the cash flow, which increased to $22.0 billion from $7.3 billion a year ago. Shell’s cash flow generation has been plagued all year by increases in working capital and margin requirements for hedging contracts for the integrated gas portfolio, but both turned to a tailwind during the fourth quarter, to the tune of $9.1 billion and $1.9 billion, respectively, thanks in part to the fall in oil prices. Excluding the working capital impact, operating cash flow increased to $12.9 billion from $9.1 billion largely reflecting the increase in earnings. During the year, Shell also completed its targeted $30 billion divesting programme, bringing its gearing ratio down to 20.3%. It also ended its scrip dividend programme and initiated a repurchase plan. To date it has repurchased $4.5 billion of its planned $25 billion in repurchases by 2020 and plans to repurchase another $2.5 billion through April. Finally, it delivered on the bulk of projects that will ultimately contribute $15 billion in cash flow by 2020, instilling further confidence in its $25 billion free cash flow target. 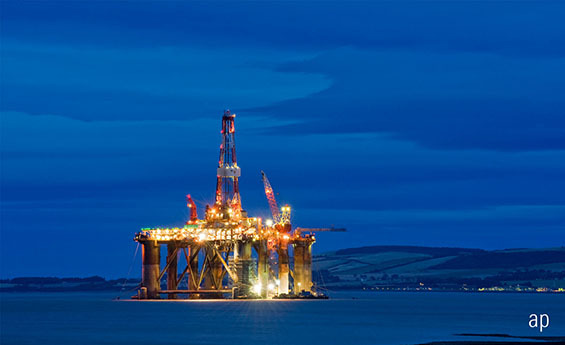 While both earnings and cash flow might be negatively affected in 2019 given the decline in oil prices, Shell’s targets are based on $60 per barrel, in line with current market expectations. However, Shell’s shares do not reflect this multiyear improvement, in our view, leaving them trading at one of the greatest discounts to our fair value estimate in the integrated oils universe. Our fair value and narrow moat rating are unchanged. Earnings increased to $5.8 billion from $4.4 billion the year before largely on the strength in the integrated gas and downstream segments. Integrated gas earnings increased to $2.4 billion from $1.6 billion on higher realized prices and trading margins as volumes were flat. Upstream earnings increased to $1.9 billion from $1.7 billion a year ago thanks to higher oil and gas prices. Production increased 1% but was 5% higher excluding portfolio effects on new field start and ramp ups. The downstream segment turned in a strong quarter, with earnings jumping to $2.1 billion from $1.4 billion last year primarily on stronger refining and trading results which offset weaker chemical results. Allen Good Allen Good is a senior stock analyst covering the oil and gas industries.